Preserving life – Why don’t we? On average, every year in the UK 68 fishermen are killed or injured, most of whom will not have been wearing an adequate personal flotation safety device or life preserver. As commercial fishing becomes ever more hazardous, and as more and more fishermen lose their lives to the seas, safety measures such as wearing a life jacket should become a primary concern to all of us. We respect tides, coastal safety procedures, and good sailing practices, and know how to read potentially hazardous weather conditions like the back of our (often chaffed) hands but when it comes to insuring our lives by donning a life preserver we are unlikely to participate. Why is this exactly? The problem is twofold. Firstly a lot of fishermen don’t actually believe that wearing a life preserver will save us should the worst happen. And while that may be true in some cases, it’s certainly not true in others, as a quality life preserver will aid you to stay afloat, improving your chances of survival in all but the direst of weather conditions. On top of that, it might sound morbid but if the worst does happen, a life jacket can help someone to be found much quicker, making it easier to identify you and notify your family and loved ones, which is obviously pretty important. The second issue is a more practical one – traditional life jackets are cumbersome and difficult to work in – so we often prefer to chance it and go without, rather than make our work load harder. To the average working fisherman it seems a no brainer, but are the risks really worth it? Fishing is currently the most hazardous occupation in the UK, with well over a hundred fishermen having lost their lives to the British seas in the last decade. There’s no question that at least some of these deaths could have been preventable had an adequate life preserver been worn. Take the death of Steven Robertson, 25, who fell overboard off a scallop dredger on the North Wales coast in January 2012. Steven’s body was never found, and sadly, he left behind a pregnant wife who never got the chance to give him a proper funeral. But had he been wearing a life jacket, not only might his chances of survival have been increased, but the coastal services would have been able to locate his body far quicker, giving his wife and family the necessary closure they needed and enabling them to bury him properly. A survey conducted by prominent marine organisation Seafish found that only a quarter of fisherman questioned actually wore a life preserver, despite more than half agreeing their occupation poses serious potential dangers. Listening to the industry feedback complaining that traditional life preservers hamper the life of the average working fisherman, Seafish are working in conjunction with maritime safety experts Mullion to offer free lightweight oilskin life preservers to every commercial fishermen in the UK. The collaborative initiative is an attempt to prevent the amount of unnecessary deaths and reduce the number of serious accidents incurred on UK coastal waters. Over 7000 of the compact jackets that fit snugly around the neck and inflate on contact with water have been distributed so far in England, Wales, Scotland, and Northern Ireland, and Seafish aim to continue their safety prevention mission throughout this year, hoping to get the message out that protection is paramount. Our purpose is to help secure a sustainable and profitable future for the UK seafood industry. 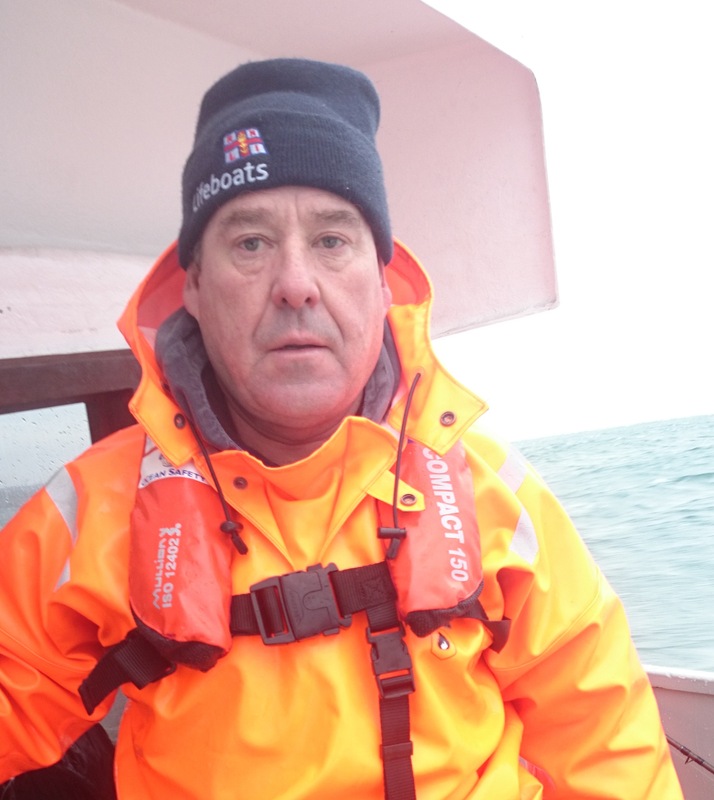 The safety and welfare of fishermen, our last remaining hunter gatherers is fundamental to this, “said Simon Potton, head of safety at Seafish. Fishermen are 115 times more likely to suffer a serious or fatal accident than the rest of the UK workforce. And because we often work alone it’s even more important we wear adequate protection, since unlike most other dangerous and potentially risky occupations, there’s sometimes no one to call for back up should we run in to difficulty. Whats the best colour lure for Bass?